Looking for a fun way to experience art? Visit a different kind of art museum, one where the art is mostly exhibited outdoors: a sculpture park! 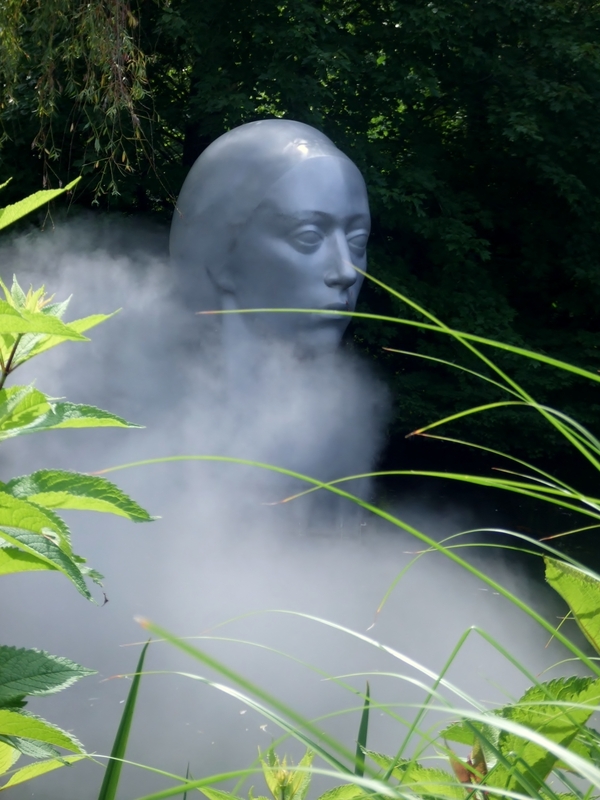 Earlier this summer, my husband and I experienced Grounds For Sculpture, a 42-acre sculpture park located in Hamilton, New Jersey. 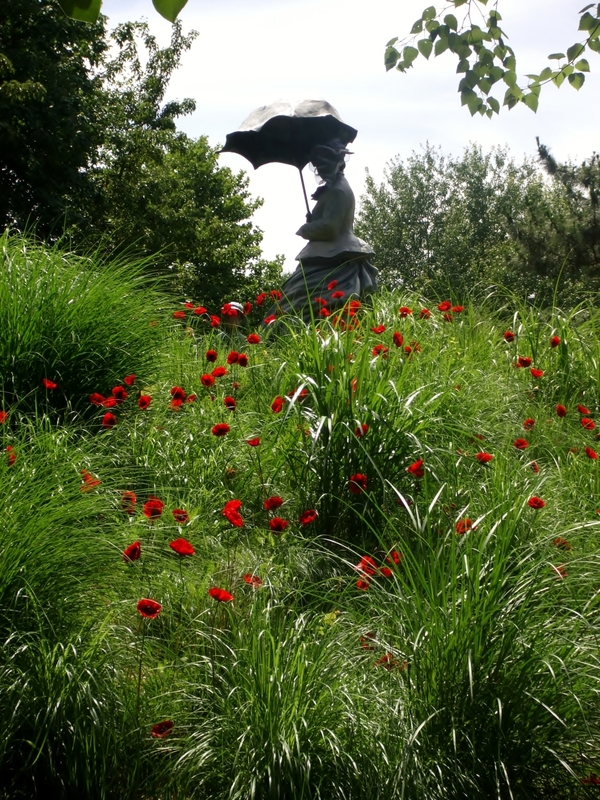 While some of the sculptures are displayed indoors, most of the art is exhibited outdoors, laid out thoughtfully in the natural and specially landscaped scenery. Every turn we took as we ambled through the park brought us whimsical, fanciful surprises. Sometimes we encountered provocatively menacing ones, too. 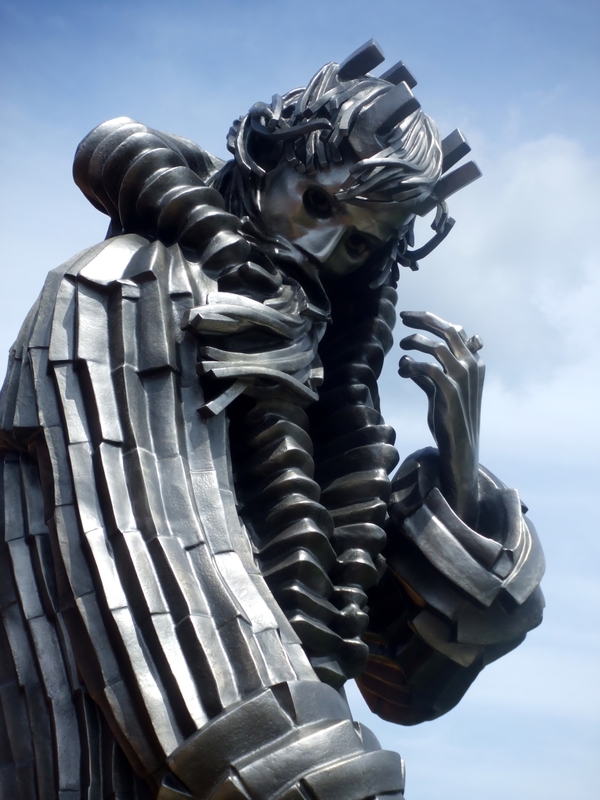 With a collection of 273 sculptures representing an array of American and international artists, Grounds For Sculpture certainly has something for everyone! If you are anything like me, you will find it hard to want to take your time making your way through the park. Like a little kid, you’ll want to run to see what’s next. Also, a kind of “game” we played was guessing the title of each work. “What would the artist name this?” we would ask. Sometimes we were very surprised. Honestly, I liked some of our titles better. The Welcoming Committee makes you feel right at home! A giant ethereal woman floats out over the water. Marilyn towers over my husband who couldn’t help but look up her dress. Another guest appears to be bowing to her. What is this power Marilyn has??? Would you want to mess with this guy on a dark night? He’s probably a couple or stories tall and looks like a character from Lord of the Rings (and not one of the benevolent ones). Some of the sculptures bring paintings to life in three dimensions. Do you recognize this one? 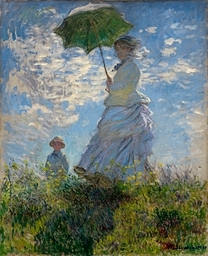 Here is La Promenade, also known as Woman with a Parasol. It was painted in 1875 by Claude Monet. The subjects are his wife and son.